Easy to remove waste bin makes it simple to empty fabric shavings. Simply pull out the container, empty, and replace. Need More Pet Hair & Lint Removal Products? Vanish Products has a complete line of pet hair and lint removal products to help you keep your home and clothes clean. Unique odor eliminating technology helps remove odors without damaging surfaces with messy liquids that stain. 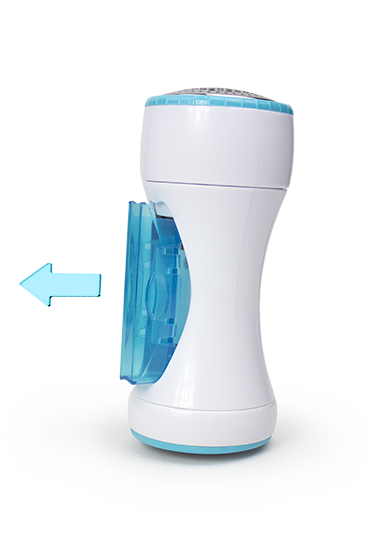 No other pet hair and lint remover roller can eliminate odors with the zeolite technology. Vanish lint rollers come in a variety of sizes to choose from. The handles are comfortable to grip on all the lint roller products. 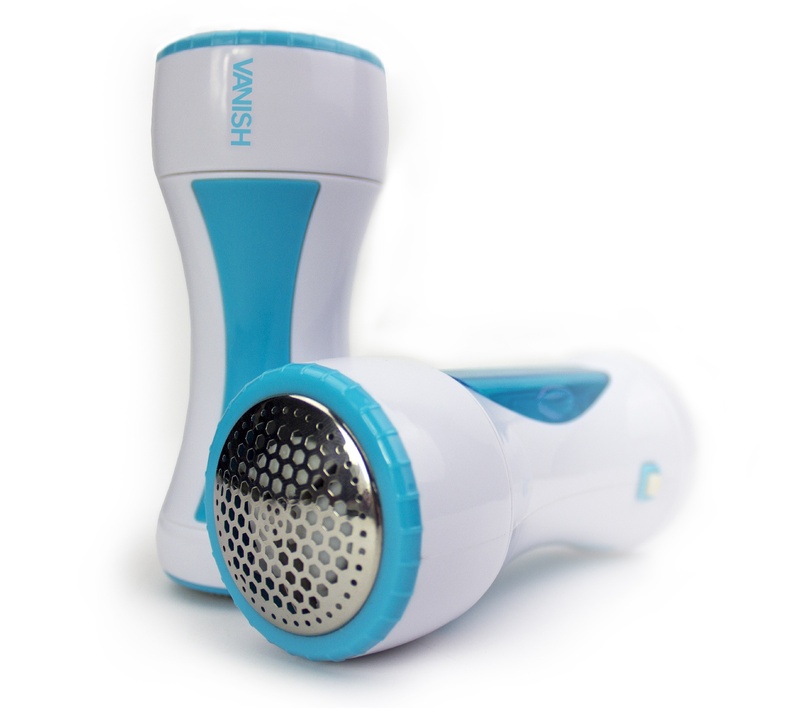 The Vanish product line includes pet grooming tools. © 2016, Hyman Inc. All Rights Reserved.